Bun Throwing planned to mark the Queen's 90th birthday in 2016. I heard from my mum that there is a Bun Throwing event planned to celebrate the Queen's 90th birthday next year! Great news. Abingdon-on-Thames celebrates royal and national events and milestones by holding Bun Throwing events in the town's market place. Dignitaries throw buns from atop the town's museum, formerly the county hall, to the townsfolk assembled below. It's an event that has to be seen to be believed! 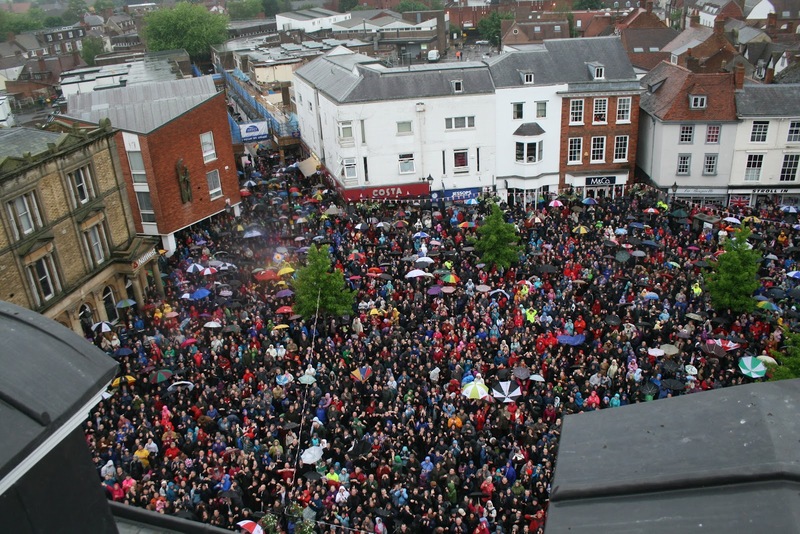 The huge crowd in the town's market place for the 2012 bun throw. 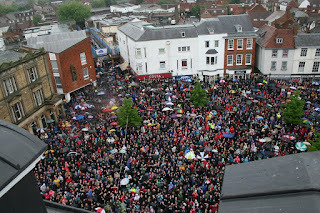 Photo by Alastair Fear of the excellent Abingdon Blog. 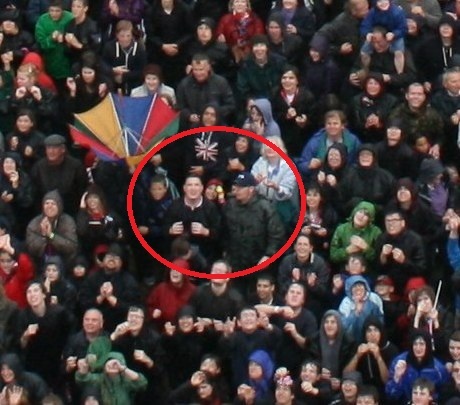 Look closely (or click here) and you can see me and my brother Jon in the thick of the action! If approved, the Bun Throwing will take place in the market place on Saturday 11th June 2016 and will be the first since 2012. I have attended each Bun Throwing in Abingdon in my lifetime (13 since 1981) and I'm really looking forward to the next one. The last event was held on Sunday 3rd June 2012 to celebrate the Queen's Diamond Jubilee. There have been 33 Bun Throwings since the tradition began in 1761 for the coronation of King George III. - Abingdon County Hall Museum kindly provided details of the Recorded Bun Throwings to 1997. Further details on events to 2006 can be found on the blog here.